Emily Darrow: [over the phone] It's bad, Joe. They're evacuating the villages. We're about to be washed out. We're hearing gunfire now. Joe Darrow: Can you... can you get to Calamar? Can you get across the border to Columbia? Emily Darrow: They're putting us on the bus. I don't know where they're taking us. Joe? Joe? From the info on the DVD cover, I thought this was a going to be a science fiction/horror movie. I was pleasantly surprised at what this was actually about. The plot twist in the film is wonderful. 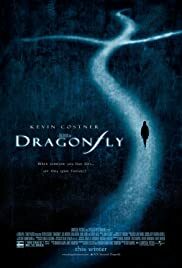 Kevin Costner and the rest of the cast do a convincing and thoroughly enjoyable job with this unique premise. This film reminded me more of a "Field of Dreams" than a "Poltergeist" kind of movie. The cast is revealing. Ron Rifkin (Alias) was a great foil to Mr. Costner. Linda Hunt is perfect in the small role she plays. The director, Mr. Shadyac, seems to have broken out of the comedy mode (Liar, Liar; Ace Ventura) in a big and interesting way here. This is a good one to see if you aren't into horror movies and want something that stirs the little grey cells...I give it a 7 out of 10. 49 of 66 people found this review helpful. Was this review helpful to you?